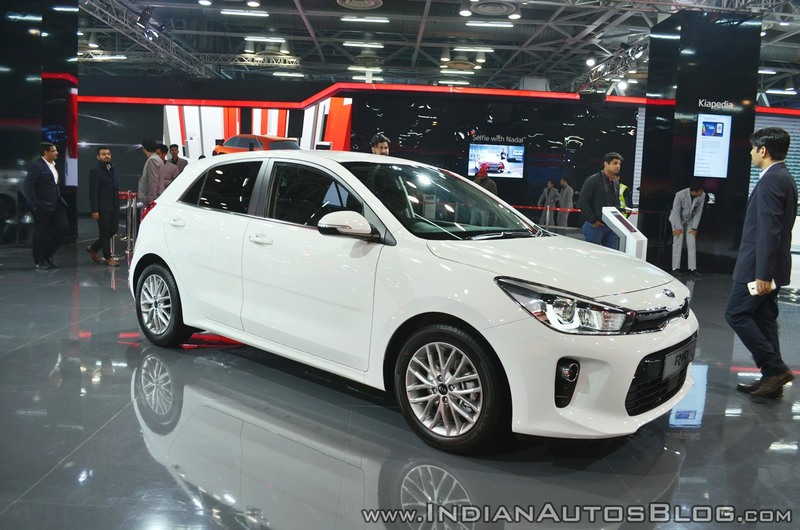 Kia’s line-up of 16 global models at Auto Expo 2018 includes the Kia Rio hatchback, a potential product for our market. The current, fourth-generation model debuted in September 2016 at the Paris Motor Show. The Kia Rio is a B-segment hatchback. The sub-compact hatchback measures 4,065 mm in length, 1,725 mm in width and 1,450 mm in height. It has a 2,580 mm wheelbase. Kia offers it with four engines: 100 PS/120 PS 1.0-litre T-GDI petrol, 84 PS 1.2-litre MPI petrol, 100 PS 1.4-litre MPI petrol and 90 PS 1.4-litre TCI (WGT) diesel. 5-speed manual, 6-speed manual and 4-speed automatic are the transmission choices. The Kia Rio's proportions are quite similar to those of the Hyundai i20, with which it shares a common platform. It has a completely different design, though. On the outside, it features a sleek Tiger-Nose upper grille flanked by bi-projection headlamps with LED DRLs, power sunroof, 17-inch alloy wheels, rear spoiler and LED tail lamps. Interior highlights of the Kia Rio include automatic climate control, 6-speaker sound system, 7-inch touchscreen infotainment system with navigation, Android Auto and Apple CarPlay, leather seats, leather-wrapped steering wheel and gearshift knob and alloy pedals. 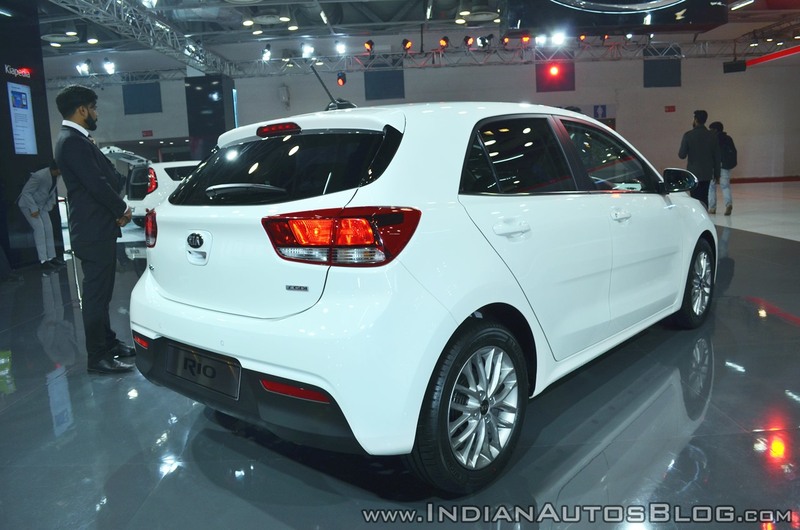 Kia has no plans to bring the Kia Rio to India anytime soon. The company will first launch the Kia SP Concept's production version, in H2 2019.